Most cameras on the market are optimized for Photography. 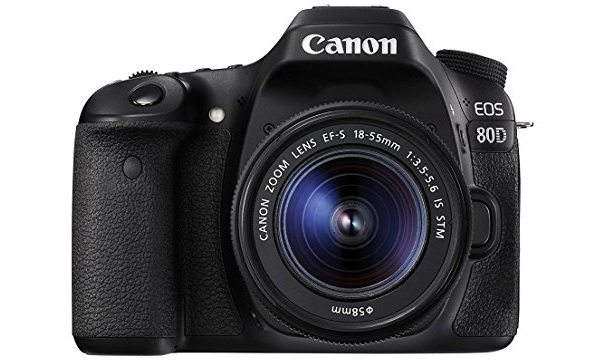 A DSLR (digital single-lens reflex) camera is one of the more common types of digital camera. It combines the basic mechanism of an SLR (single-lens reflex) camera with a digital sensor that many would consider more convenient than the traditional alternative of film rolls. Many will argue that a DSLR is not the right choice for a Youtuber because it is not exclusively made for capturing video, though there are a few advantages to using one. First off, a DSLR is a far more versatile choice than an alternative like a camcorder because you’ll be able to take quality video and images with the same device. One of the main advantages of DSLRs is that you have a lot of freedom to customize your device as you see fit. Since you can change the lens out on a DSLR, you’ll be able to set it up for your particular needs, meaning that your camera can have entirely different capabilities from one day to the next. Whether you run a photography blog on the side of your YouTube channel, you’d like to be able to take quality photos for your Instagram, or you simply love photography as well, a DSLR is an excellent choice. However, even if you’re just looking for excellent video performance, you won’t go wrong with one of these cameras. 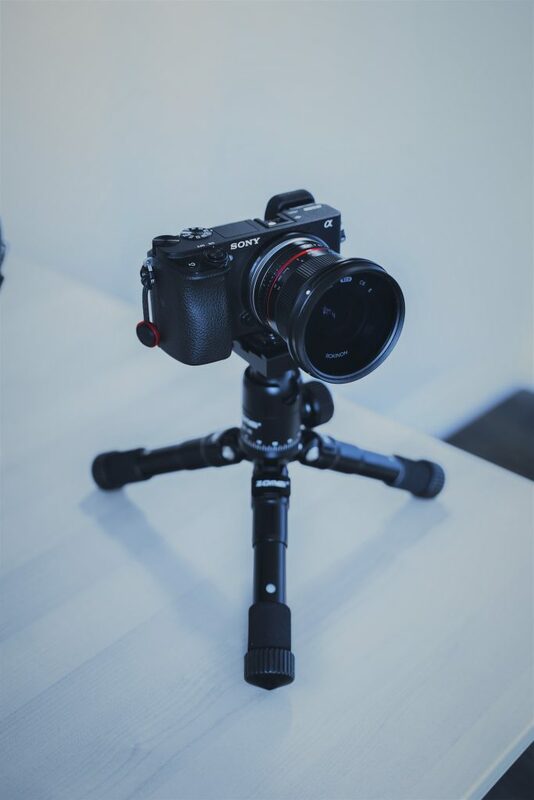 Beyond being able to equip different lenses to a DSLR, you can also attach microphones and other accessories that will improve your videos. If you already have equipment from a previous DSLR model, most of it will tend to be compatible with the next one, especially if you buy it from the same manufacturer. On the other hand, for YouTubers who are just starting off and don’t have any equipment, DSLRs are also sold with sets of gear that will set you up with what you need to get started. As you can see, these cameras are highly versatile, and they’re an excellent choice for nearly any kind of channel. When it comes to downsides, there are two significant issues with DSLRs: the first is their price and the second is their relative lack of durability. If your channel is more action-oriented, you may want to opt for something else. If you want to read a complete guide on DSLR cameras, check this out. Our favorite part about the 80D is its sheer versatility, as it can be equipped with everything from a telephoto lens to an external microphone with ease. If you’ve never used a highly-customizable DSLR before, you won’t come across many models that can hope to compete with this one when it comes to sheer ease of use. The touch display means that you can simply press on whatever you’d like to navigate the interface as well as to focus. HDR movie recording ensures that you’ll be able to enjoy clear and stunning visuals in your videos whereas the 1080p will contribute even further. Overall, this is one of our favorite mid to high-range DSLRs for YouTube recording. 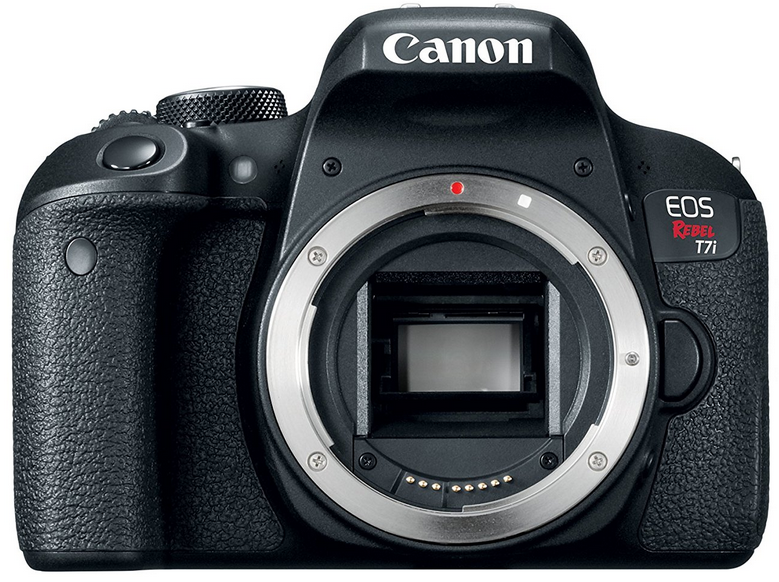 The T7i from Canon is a bit more affordable than the 80D, but it still comes equipped with a range of helpful features. 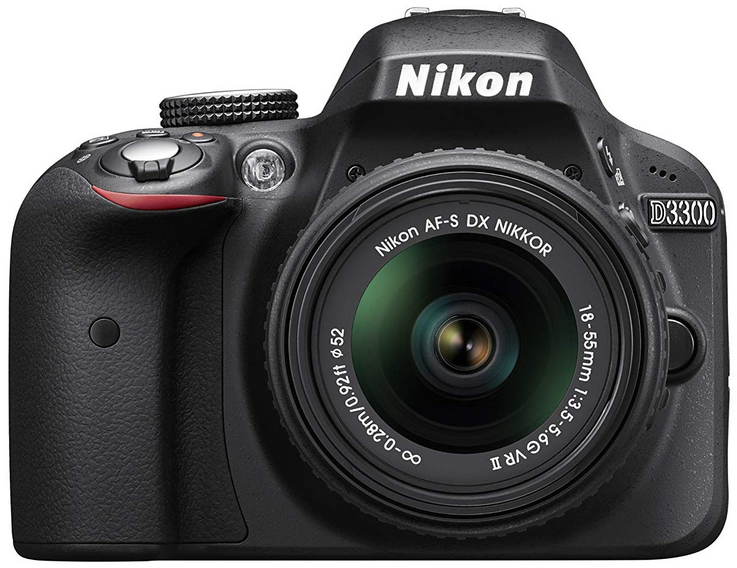 The autofocus system is of particular note for Youtubers who don’t have a cameraman, as this DSLR is capable of keeping track and refocusing within 0.03 seconds. Of course, as with many other DSLRs in the same price range, you’ll still be able to benefit from 1080p video recording at 60 fps to give your viewers the best experience possible. Beyond that, the device also has a specialized stabilization mode that is used when filming for reduced blur. With an ISO rating from 100 to over 25000, you’ll also find that this camera is ready for low-light recording. If you don’t want to spend quite so much money on a new DSLR, then the Nikon D3300 is an excellent entry-level option for YouTubers. From its 1080p video recording to its impressive 11-point 3D tracking autofocus system, this camera comes ready to shoot video. Compact: Unlike many other DSLRs, this model is designed to be reasonably portable, so you’ll be able to bring it around with you without too much of a hassle. Lens Package: This camera also comes included with a lens, and it still manages to be a more affordable option than other cameras which only consist of the body. Whether you want to train on a DSLR for the first time or if you simply need an affordable model, the Nikon D3300 is an impressive option. While DSLRs are still one of the most popular kinds of cameras, mirrorless interchangeable-lens systems are gaining on them at a faster rate than ever. Where a DSLR uses a series of mirrors and prisms that are connected to an optical viewfinder that will display your image, a mirrorless camera digitizes the process. This is why mirrorless cameras will display your image on a digital viewfinder, and if you aren’t a serious photographer, the benefits of the mirrorless design will outweigh the loss of the optical viewfinder. First off, the design of a mirrorless camera is far simpler than that of a DSLR. This also makes mirrorless models more compact than DSLRs since there won’t be as much internal space taken up by the components. Another benefit is that mirrorless cameras have fewer moving parts to them than DSLRs which makes them less susceptible to impact damage as well as more reliable overall. Mirrorless cameras are also capable of shooting faster than DSLRs, making them more likely to be able to film at 60 fps. Of course, mirrorless cameras also have their downsides, and some of them make them less suitable for video than DSLRs. For example, the auto-focus on these models tends to be less effective because it uses the contrast-detect system as opposed to the more accurate and quicker phase-detect. So how is a mirrorless camera a better option for Youtubers when compared to the alternatives? One of the main benefits of these cameras is that they tend to be far more compact than DSLRs and other cameras that use mirrors as internal components since they take up quite a bit of space. As we’ve mentioned, the omission of mirrors in the camera will also free up resources which can be spent elsewhere in the camera. You’ll often find that mirrorless cameras feature superior features like optical stabilization when compared to other cameras at a similar price point. On the other hand, a mirrorless camera without any added features and the same capabilities as a DSLR (minus the viewfinder and the mirrors) will typically be more affordable. If you want to save a little bit of money or if you want extra features instead of an optical viewfinder, a mirrorless camera is the way to go. Read a complete guide on mirrorless cameras for video. Has a long battery life that lasts for around 960 shots. Camera offers HDR and time lapse recording. Offers both WiFi and NFC connectivity. Features a mic port and external headphones. If you want the best mirrorless camera for YouTube on the market, then the a7S II from Sony simply can’t be beaten. This $2000+ camera is a masterpiece of design, featuring one of the broadest ISO ranges on a consumer camera, giving you excellent low-light recording capabilities. The 169-point autofocus makes full use of this ISO range, ensuring that your camera can focus with ease in even the poorest of lighting conditions. 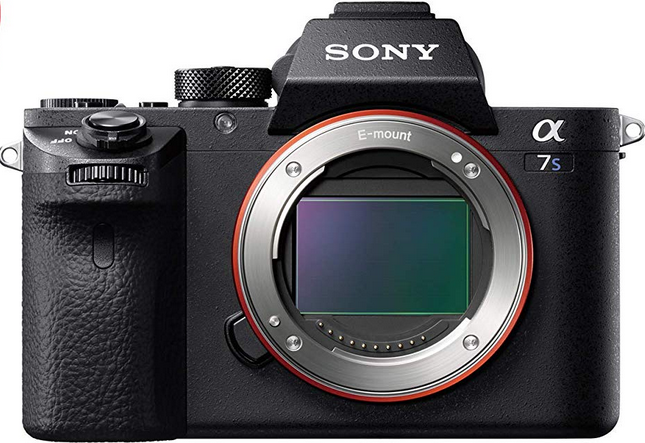 Quality is another area where the a7S II excels, as it can record full-frame 4K, and it is one of the first handheld mirrorless models to do so. If you’d rather shoot in slow-mo, you’ll also be able to record 120 fps in 1080p. The in-body stabilization that’s used by this camera is also much better at canceling blur in videos than competing cameras. If you’d rather spend a little bit less on your new mirrorless camera, the a6500 is another reasonable option that shares many of the same capabilities as Sony’s more expensive options. For example, this camera is capable of recording oversampled 4K for improved video quality. You can also benefit from an ultra-quick autofocus speed, and you can always rest assured that the camera will keep track of you because of the 4D focus system. Using 425 phase detection points, the AF system that’s used in this camera is one of the most impressive ones out there. As with many of Sony’s other mirrorless models, the use of in-body stabilization is much more noticeable when you’re shooting video thanks to the immense degree of vibration resistance. 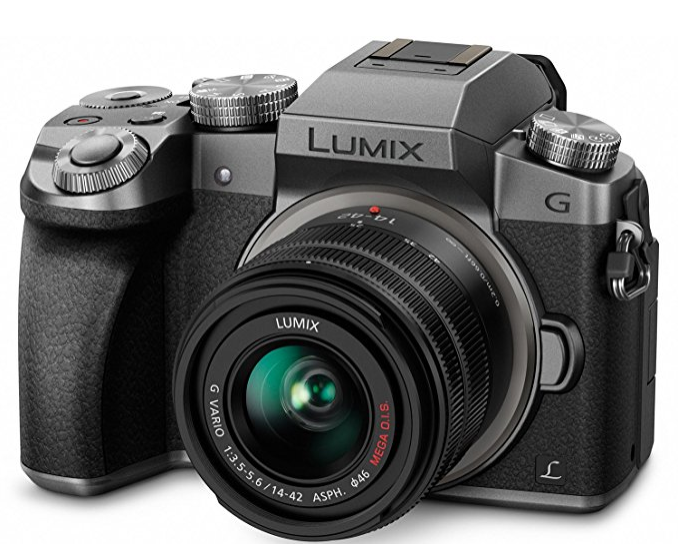 The LUMIX G7 from Panasonic is our most affordable choice of mirrorless camera, and it features an impressive range of specs for the price. For example, this model comes equipped with a kit lens that should be sufficient for basic video and photography and can film in 4K. Beyond the immense value for money that you get out of this camera, you’ll get to benefit from a sleek, retro design that is easy to get used to. The AF system on this camera is another impressive aspect, as it’s capable of focusing in up to 0.07 seconds and it works well for high-speed shots. If you’re going to be recording action shots with this camera and you want to keep the subject in focus, then the excellent focus lock of this model will help out immensely. If you’re just getting started with your YouTube channel and you want to save a bit of money on your new camera, then you may not need the heightened capabilities you’ll find in advanced cameras. Should that be the case, a point and shoot camera should be more than enough for your needs. Point and shoot cameras get their name from the fact that they’re designed to be as user-friendly as possible. If you’re an amateur photographer, or you just want something that’s a little more effective than the camera on your cell phone, you’ll find that point, and shoot cameras are well worth it. One of the key defining aspects of point and shoot cameras is that they tend to be more compact as well as far simpler than your typical digital camera. A lot of the time, point, and shoot models will feature a rectangular design that you can just slide into your pocket when you’re on the go. In addition to being easier to carry around, their compact design makes point and shoot cameras less susceptible to damage when compared to more complex digital cameras. If you’re going to be shooting YouTube videos outdoors and you plan on carrying your camera around everywhere, durability is critical. While many people assume that a point and shoot camera has to be a cheaper option, you’ll find that there are some models with a relatively high price point. High-end point and shoot cameras are ideal for YouTubers who are typically always vlogging their daily lives, as they are far more portable. Point and shoot cameras are also attractive for YouTubers who are just getting started because of their relative ease of use. If you don’t know much about cameras and you just want to be able to shoot your videos without too much of a hassle, then most point and shoot models won’t give you any trouble. Keep in mind that there are some downsides to using point and shoot cameras for making YouTube videos. One of the more unfortunate aspects of these cameras is that they aren’t typically compatible with attachments that come in handy while shooting video like external mics or extra lights. What you see is what you get when you purchase a point and shoot camera, as you won’t be able to swap out lenses either. If you don’t mind a relative lack of customization or if you plan on taking your camera everywhere to capture videos for your channel about your daily life, one of these cameras should be ideal. If you want to check out only compact cameras, I suggest reading best point and shoot cameras. 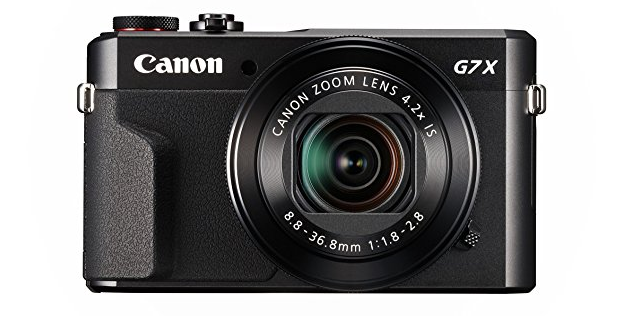 If you’re looking for one of the best point and shoot cameras on the market, the G7x from Canon is one of the best options. This model can record full HD video at 60 fps, and it’s available for a decent price, though you won’t find many point and shoot cameras with comparable prices or capabilities. The touch display can be used for both autofocus as well as menu navigation, so you’ll benefit from a more user-friendly interface. This camera also makes full use of optical image stabilization to ensure that your video quality doesn’t get ruined by shaky hands or motion. As with many other point and shoot designs, a key benefit to this camera is how small and portable it is, so you won’t have much trouble carrying it with you wherever you go. 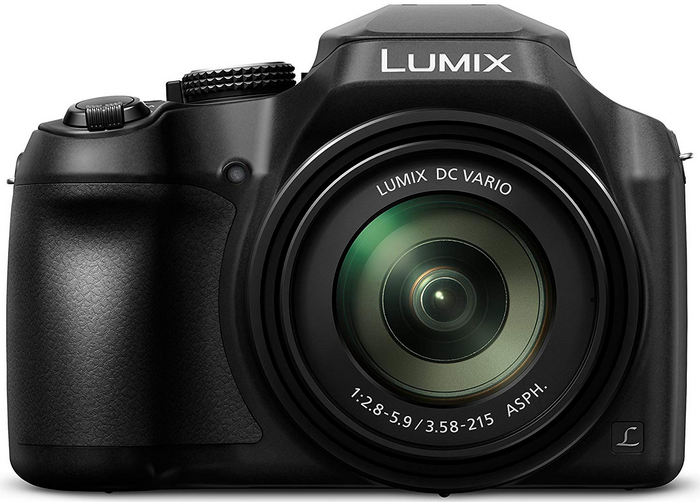 This camera from Panasonic is a rather unique point and shoot in that it offers a wide range of high-end capabilities for a reasonable price. For example, this camera comes with a wide angle lens that will make filming your videos far easier, especially if you want to focus on several subjects at once. Perhaps the most impressive feature is that this camera can record in 4K, which is a capability that you don’t usually see in point and shoot cameras at this price point. You rarely see point and shoot models that can use this resolution in the first place. The LUMIX DFD autofocus is still one of the more impressive features you’ll find in Panasonic cameras, and it provides you with excellent focus retention and speed. 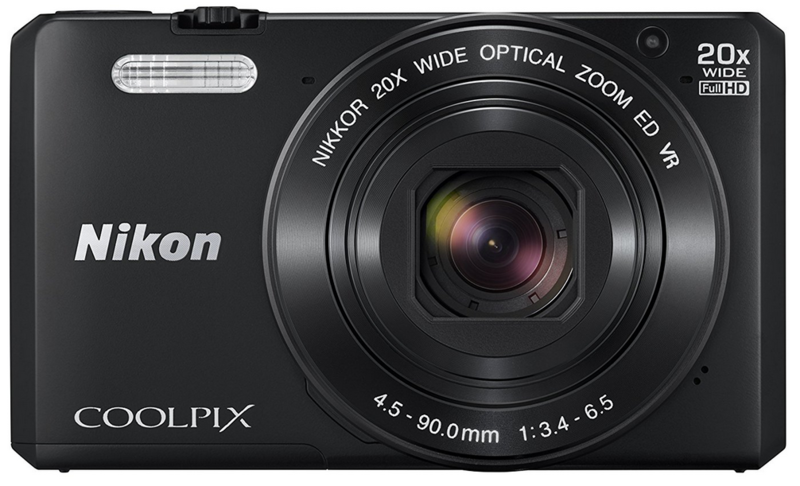 The S7000 from Nikon is a highly affordable point and shoot camera that is an excellent option for both beginners and YouTubers who need a secondary camera. For a low price, you’ll get to benefit from full HD recording capabilities that are complemented by a suite of helpful features. For example, the Target Finding AF system on this camera is effective enough to keep track of a target without too much trouble. You also have a choice of 18 different scene modes, so your video will be sure to turn out perfect even if you aren’t that familiar with camera settings. Vibration reduction technology in this camera helps reduce any blurriness in your videos, and it is one of the better stabilization systems we’ve seen in such an affordable camera. A camcorder is your best option if you have no interest in a device that can capture still images and would prefer further video specialization. Since camcorders are purpose-built for video, you’ll notice that they have a range of benefits for YouTubers that you won’t find in other kinds of cameras. For example, camcorders tend to feature a longer battery life than different types of cameras, allowing you to record for a longer period of time. If your battery does end up dying on you while you’re outside, it will typically be easier to quickly swap it out if you’re carrying a secondary battery, ensuring your viewers miss none of the action. 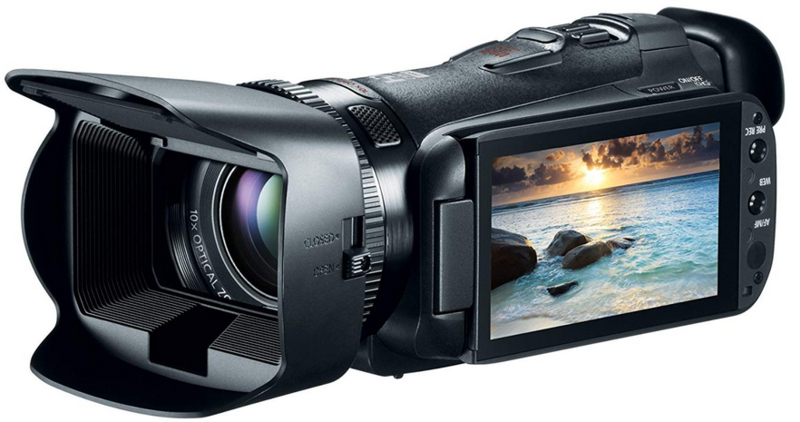 Beyond how long they can operate, camcorders are also equipped with a range of advanced video recording features. While other kinds of cameras will have stabilization that works better for photography, camcorders will typically be equipped with IS modes that are optimized for video. Unless you plan on using a tripod while recording, optical image stabilization is key if you want to eliminate motion blur. Camcorders can also be rather versatile, as there are a wide range of them out there, all of which are made for different purposes. For example, more affordable camcorder models will typically be compact and portable, and they may not feature mounting or attachment points for external accessories. On the flipside, you’ll find plenty of more expensive camcorders that come perfectly equipped to deal with all of your needs as a Youtuber. For those who are just getting started and may not have accessories, you’ll even find some kits that include a camcorder and a bunch of helpful extras, like tripods and external mics. You may be wondering about the downsides of camcorders, and there aren’t many of them if you’re planning on using the camera exclusively for your YouTube channel. If you don’t have another kind of camera that can take still images, you may want to consider something more versatile. As you can see, camcorders are specialized for video recording, and they may offer comparatively more at the same price point for video creators when compared to other cameras. Of course, you have to give up the ability to take quality images. 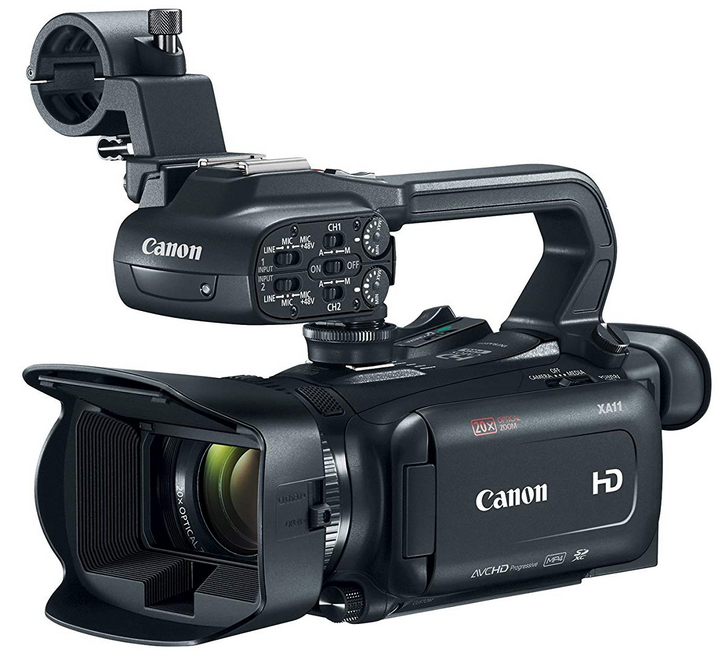 If you want to check out only camcorders, I suggest reading best camcorders for YouTube guide. The Canon XA11 is marketed as a professional camcorder, but we would argue that it walks the line between a mode that is intended for professional use and a consumer camcorder. Perhaps the most notable part of this camcorder is how small it is. The small size of this camcorder can sometimes hamper it, as it makes it far more challenging to mount accessories. This is one of the best cameras for YouTube filming. Unlike a low-end point and shoot or similar design, this camera is equipped with a range of features specifically for video. For example, you can benefit from Intelligent IS that is optimized for motion blur reduction when filming. Another benefit to this camera is that it features an impressive ⅓-inch sensor that provides you with excellent performance in poor lighting situations so that you won’t need intense lighting. This camera is also an excellent choice for beginners because it features a range of features to help improve user-friendliness, including focus, exposure, and composition aids. 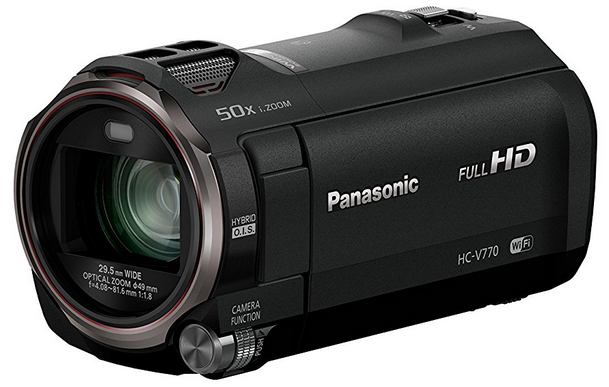 This camcorder from Panasonic is one of the best YouTube cameras for more fast-paced action like recording sporting events as a spectator. This model combines excellent zoom capabilities with a microphone that resists wind distortion and is capable of picking up sound at extended range. You’ll also be able from 120 fps slow-mo recording at full HD resolution. If you want to go even slower, this camera is also capable of capturing 240 fps interpolated slow motion footage. This is all possible thanks to the advanced Crystal Engine image processor that’s featured on this camera. The Intelligent Auto system helps ensure that you have the ideal settings for your ambient conditions. Portability is another key feature in camcorders, and this model is small enough to be carried comfortably, though we’d recommend a case due to the lack of a loop for a neck strap. While all of the cameras that we’ve looked at so far have been rather versatile in the kinds of videos that they’re optimized for, action cameras are a little more on the specialized side. As you can guess from the name, action cameras are designed for action shots, so they tend to have a pretty specific design. GoPro is the best-known maker of action cameras, and their name is sometimes used interchangeably with the term, though there are a few other excellent manufacturers of these cams. If your YouTube channel is based around high-intensity action or sports, then these cameras will be perfect for you. One of the more unique aspects of action cameras is where they can be positioned while recording. While performing physical activity, you’ll typically have to use both of your arms, so action cameras are meant to be attached to your person so they can record from a first-person perspective. This brings your viewers right into the action along with you, and there aren’t many other kinds of cameras that can provide a similar, action-based experience. From the calmest of jogs to the most intense whitewater kayaking, an action camera will be able to catch every second of it the way you saw it. Beyond positioning them on your person, these cameras can also be held in your hand or attached to a stabilizing mount depending on the activity that you’re performing. The small size of these action cameras means that you’ll typically be able to bring them along on trips without too much trouble. As you would expect, action cameras tend to have some of the best stabilization that you’ll be able to find in a handheld camera. Your viewers will be able to see every little bit of the action, even in the most intense shots. There are also quite a few accessories that are compatible with these devices. Beyond image stabilization, action cameras also benefit from superior durability to other kinds of cameras. When discussing different types of cameras withstanding damage, it’s more a matter of luck and the device falling the right way, on the other hand, action cameras can take a serious beating. Of course, every kind of camera has its downsides, and action cams are no exception. You’ll find that the extra features on these devices are typically more limited than on other cameras. If your channel is based around sports or outdoor activity, you won’t find many better options. 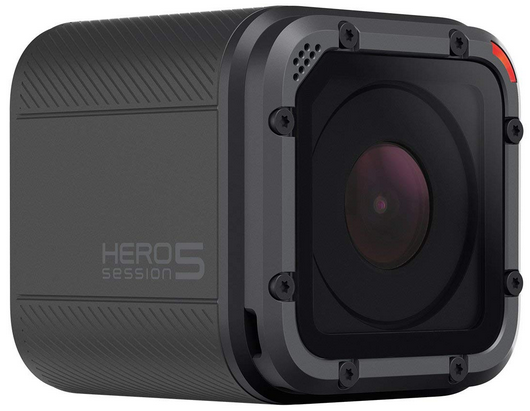 GoPro is the first name that most people will associate with action cameras, and the HERO5 Black is one of their most popular products. This action cam is capable of recording in 4K, so your viewers will be able to enjoy every detail of your outdoor excursions. Of course, an action camera isn’t worth the money if it can’t put up with the punishment that you can expect it to endure outdoors. This model features an impact-resistant housing that will prevent it from being damaged by falls and collisions and it is also waterproof up to 33 feet down. The HERO5 Black model features a rechargeable battery, which will allow you to save more money in the long run. Of course, the most significant difference in the Black model when compared to other GoPro action cameras is the touch interface. While the previous GoPro we looked at was a little bit more accessible thanks to its touch display, this model is a pure action camera. As such, the HERO5 session has a simple set of controls, and the shutter button is the most important one. With a single tap, your camera will be on and recording. This model is also capable of recording 4K, but we’d argue that it’s even more convenient for the outdoors when you compare it to the Black model. 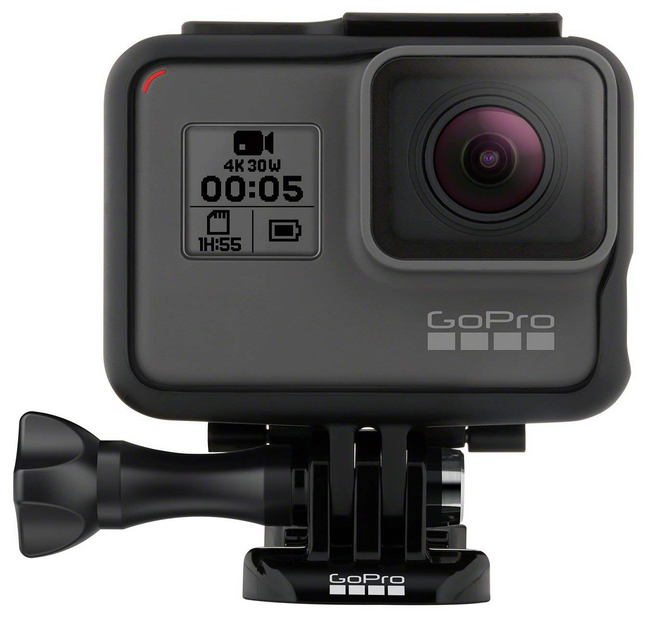 This GoPro features a much smaller housing thanks to the lack of a touchscreen, a design choice which makes it far less likely to get damaged. The microphone on this action camera is designed to reduce the noise caused by the wind so that your viewers will be able to hear you clearly. If you don’t need expanded functionality, this action camera is an excellent choice. 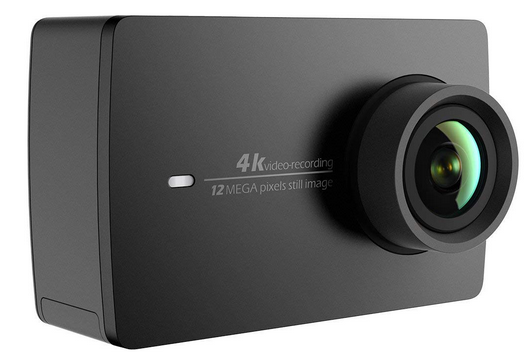 If you want an alternative to a GoPro camera, then the next best choice is the YI 4K, which is fast approaching the GoPro when it comes to both features and popularity. This model is a pure action camera that comes included with only the most necessary features without any additional amenities. While you get a touchscreen interface, you’ll find that there isn’t much more to be seen on the exterior of this camera. Thankfully, this action camera’s performance is more impressive, with an average battery life of around 2 hours when recording at 4K. The electronic stabilization may not be as effective as an optical system, but you’ll find that it’s more than sufficient for most high-intensity videos. This is also an exceptionally rugged action camera, featuring a display made of Gorilla Glass and a housing that is impact resistant. Finally, we’ve reached the most unique type of camera on this list. Drones are more of a combination of a remote aircraft and a camera, giving you access to angles that you could never have dreamt of. If you want to be able to take truly stunning shots for your Youtube channel, then a drone is the ideal choice. Drone cameras will typically be able to record in high quality, as it is a necessary feature when the camera is located so far off of the ground. As you would expect, these cameras also tend to have an impressive optical zoom setting so that the drones will be able to film far-off subjects with ease. Of course, the types of things that you’ll be able to film with your drone will depend on its capabilities, as not every drone is built equally. Some have longer battery lifespans than others, which means that they’ll be able to get further from you on a single charge before they need to return. The speed of your drone also plays into its operating range, as it will be able to cover more ground in a shorter timespan. However, as a Youtuber, you’ll typically want to prioritize the features of the camera that’s mounted on your drone. Now let’s move on to the kinds of channels that would benefit most from one of these cameras. Any kind of Youtuber who wants the ability to record full, sweeping shots of landscapes and other vast subjects will be able to benefit immensely from a drone. The speed at which these devices can fly and the angles they can get on targets like mountain ranges and valleys are truly stunning. Thanks to these qualities, drone cameras are an ideal option for Youtube channels that are based on travel. If you love exploring the world and sharing it with your subscribers, we can think of few better options. Keep in mind that you’ll have to abide by the drone piloting regulations of the local country while visiting. The downsides to drones are relatively obvious. Primarily, these devices are too expensive to be an economical first camera for many Youtubers, as you’re not only purchasing a high-quality camera but also a complex remote aircraft. It’s not unheard of for even beginner drones to stretch into the thousands. Besides their high price, drones suffer from a lack of flexibility, as you won’t be able to pilot them everywhere you go thanks to by-laws and regulations. However, if you need aerial footage at an affordable price, that dream can now come true thanks to consumer drone cameras. 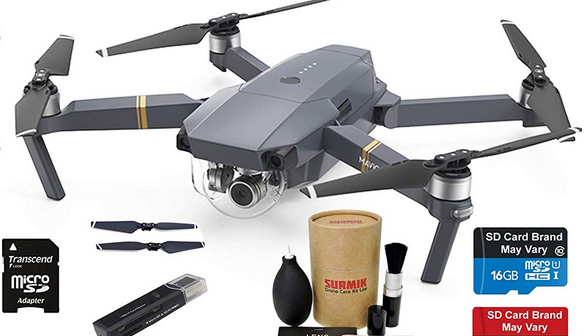 The DJI Mavic Pro is one of the most popular drones for users that are looking for a combination of high-quality video and impressive flight performance. This model features a massive 4.3-mile range, allowing your drone to explore your surroundings to the fullest without needing to return. That range translates to a maximum flight time of just under 30 minutes, so you’ll also be able to record plenty of footage before you need to charge your drone once more. Also, the 4K recording capability is another impressive feature that is rare to see on drones at this price point. The smaller size of the Mavic Pro ensures that you’ll be able to bring it around with you much more easily than other, larger drones. When coupled with the collision detection system, you’ll find that you can get this drone into some nifty spots. The DJI Spark is a miniature drone that is an excellent choice for recording indoor videos from perspectives that would otherwise be impossible. With a flight time of around 15 minutes, you’ll find that this drone can stay in the air for longer than similarly-sized models, but not by much. Where this drone excels is in how easy it is to use. 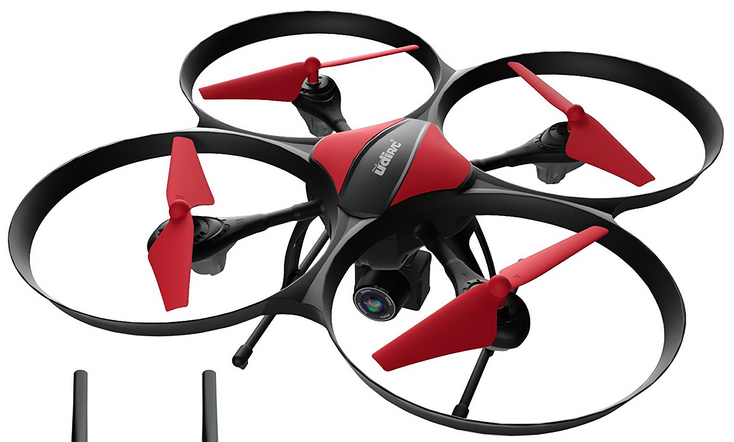 Once you get past the arduous setup, you’ll be able to use this drone with ease. For example, if you want the drone to start flying, you merely have to place it in the palm of your hand and look at it until it recognizes your face. You can also control this drone using your phone. When it comes to video capabilities, it can record at 1080p, and it uses a gimbal for mechanical stabilization. The 1/2.3” sensor also performs surprisingly well in poor lighting conditions. If you want a simple camera drone that won’t end up breaking the bank, the U49C Red Heron from Force1 is an excellent choice. While this model may not be able to match some of the high-end options, it can hold its own. Perhaps the most impressive part of this drone is its beginner friendliness. The Red Heron is an ideal choice for drone pilots who are just getting started out and don’t want to risk a 1000 dollar device during flight training. 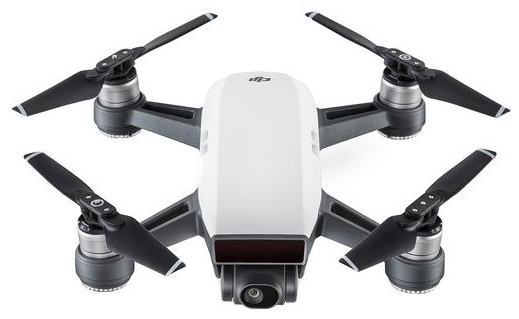 Of course, this drone is more than capable enough for some basic video recording as well, but it’s slightly held back by its 720p recording quality. Thankfully, the drone is equipped with rubber dampers around the camera as well as flight stabilization to help make for a smoother and more consistent video. One of the first things you need to consider when buying a good camera for your Youtube channel is the type of video that you want to upload. Various content creators have different themes, and you’re going to have to come up with your own. While you’ll obviously put your original spin on it, most channels will fall into certain genres. For example, if you’re going to be recording from your desk for your gaming channel, a webcam would serve the purpose. On the other hand, if you have a beauty channel, then you’ll likely want to use a camcorder that’s compatible with a light ring and other accessories. For those of you who are constantly on the go, you’ll typically want to buy a high-end point and shoot camera, as you’ll be able to benefit from its relatively powerful yet compact design. More affordable cameras will be a better option for YouTubers who are just getting started. Keep in mind that many Youtubers prefer to use drones as secondary cameras, with a handheld model doing most of the filming and the drones coming in handy for more unique angles. There are a few essential qualities that you should search for when you’re buying a new camera for your Youtube channel. From image quality to battery life, you’ll find each of the following four characteristics integral in any camera you hope to utilize to film your uploads. One of the first things that you should search for in the right camera is sufficient recording quality for your needs. Your viewers won’t be able to appreciate your videos if they’re too unclear, so you’ll want a camera that can record in at least 1080p. When it comes to shooting in versatile conditions, low-light performance is integral. Cameras with larger sensors will typically feature less noise in low light recordings, which will make the overall image quality far better. With better low-light performance, you won’t have to invest as much into lighting, and you’ll be able to film in more unfavorable conditions. The next thing you should account for when choosing the a good camera for YouTube is how easy it is to use. If you already have experience using video cameras, then this may not be as important for you. On the other hand, if you’re just getting started when it comes to filming, this may be integral. The battery life of your camera will determine how long you’ll be able to record video without any interruptions, so you’ll want to be sure that your device is energy efficient enough for your needs. You’ll at least want to be sure that you can quickly replace the battery if it fails. We hope that this comprehensive guide has been able to present you with all of the best options you have at your disposal when it comes to choosing a new best camera for Youtube. Keep in mind that everyone has different needs, and if you have any questions or suggestions, let me know in the comment below.